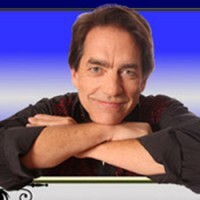 Dickens Parlour Theatre presents the amazing James Vagias! Come to these exciting shows Thursday, Friday, & Saturday, April 18th - 20th, beginning at 7:00 p.m.! A Magic Show with Jim Vagias. Family friendly. For the past 50 years, Jim’s magic has been seen by over one million people throughout the United States, Europe and Asia, in addition to being featured numerous times on national television. Jim is also a theatrical producer, and has had the pleasure of working with Academy, Tony, Grammy, and Pulitzer Prize winning artists. He has produced over 30 World Premiere American plays and musicals, many of which have gone on to be enjoyed both off-Broadway and throughout the world. Come join in the magic at the Dickens Parlor Theatre. Tickets for this and all events can be purchased by phone at: (302) 829-1071, or online at www.dptmagic.com. Check us out on social media to get the latest updates and exciting news about our upcoming shows & performers!